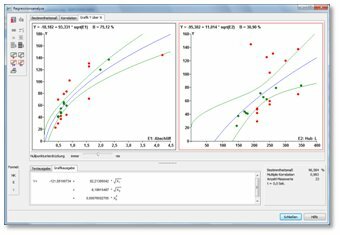 Take advantage of the ratio potential slumbering in your time studies: the PLAZET application analyses the relation between times and influence factors with the help of regression analysis, and delivers valuable plan time formulas for your calculations. This is certainly a profitable step. With the help of PLAZET the route from time study to plan time formula becomes simple, sure and completely reproducible. The time data is automatically compiled to a sample according to your criteria. 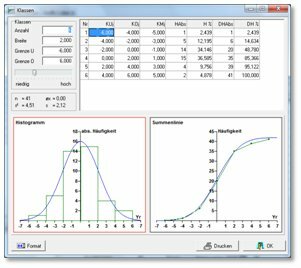 In a micro second the program calculates the correlation between time and influence factors and delivers all statistical test results together with an optimal formula. With a few mouse clicks you succeed in building up plan time catalogues and formulas, which are completed by and by. All plan times calculated can of course be printed or exported and they are available for any work process or work plan calculation at once. The intelligent sample generation method even allows the consideration of qualitative influence factors. This offers optimal support in an area which is often dominated by uncertainty. And if your time study data changes, the linked formulas can be updated by a mouse click.